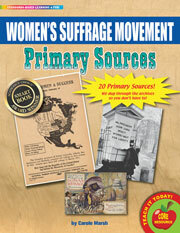 The Primary Sources series is the winner of the 2015 Academics' Choice Awards for the 2015 Smart Book Award in recognition of mind-building excellence. 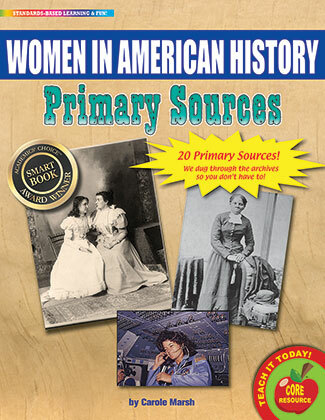 The Women In American History Primary Sources is a pack of 20 primary source that are printed on sturdy 8.5" X 11" card stock. We have created a FREE Online Teacher's Guide for Primary Sources to help you to teach primary sources more effectively and use creative strategies for integrating primary source materials into your classroom. 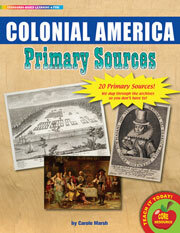 This FREE Online Teacher's Guide for Primary Sources is 15 pages. 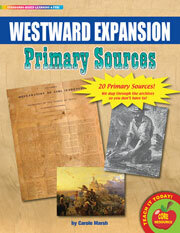 It includes teacher tools, student handouts, and student worksheets. 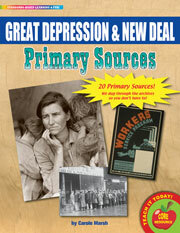 Click HERE to download the FREE Online Teacher's Guide for Primary Sources. 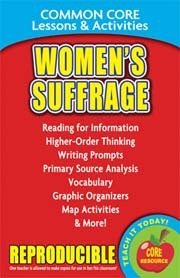 • think critically and analytically, interpret events, and question various perspectives of history. • participate in active learning by creating their own interpretations instead of memorizing facts and a writer's interpretations. 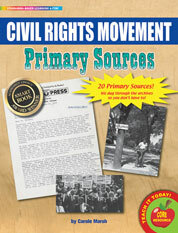 • integrate and evaluate information provided in diverse media formats to deepen their understanding of historical events. • experience a more relevant and meaningful learning experience.